FLOORING DESIGN LTD have a combined experience of over 35 years supplying and fitting contract flooring across London, Kent and the South East. We have a wide range of clients that have included Taylor Wimpy, Lenta and One Touch. We are able to offer an affordable service to suit all budgets along with the highest levels of customer care and satisfaction, no job is too big or too small. 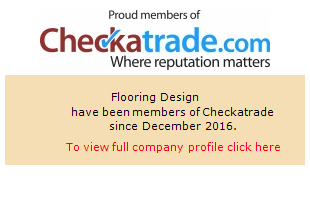 We bring the highest standards in domestic flooring installation and commercial flooring, building a reputation for our reliable professionalism and superb customer service. We’ll help you weigh up the benefits of all types of flooring and the space you want it applied to. This includes a FULL site survey and consultations. This insures for an end result that looks great and stays that way for many years into the future. We take full pride in our customers service throughout the company, with friendly and helpful staff happy to answer any questions and always getting back to you when promised to our flooring installers when they are working for you. Whatever your new flooring installation requirements at home or at work, call US today for your free Quotations.